June babies have a choice of birthstones! Pearl, Alexandrite, or Moonstone. Pearls are gemstones but not minerals, as pearls are formed by living organisms: mollusks. 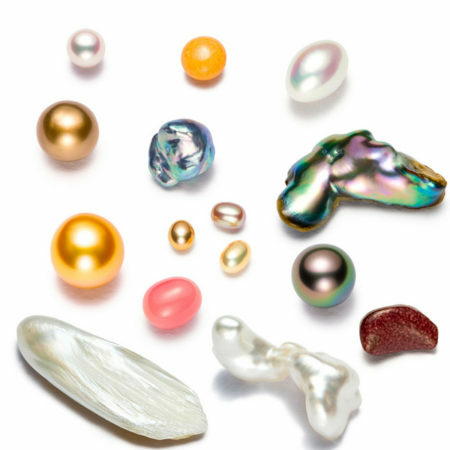 A mollusk will form a pearl if there is an irritant in it, sometimes a grain of sand, in naturally occurring pearls. Most pearls sold today are actually cultured (farmed): people will force the creation of a pearl by putting an irritant into the mollusk’s shell, often a piece of shell or a round bead. Most pearls come from southern China, Indonesia, Philippines, and Australia. Pearls have inspired love and even worship. Persian and Greek mythology called them “the tears of the gods” and they were sacred to Aphrodite. Japanese folklore says they are the tears of mermaids and water nymphs. Early Chinese civilizations believed that dragons carried pearls between their teeth, and the dragon must be slain to claim the pearls, which symbolized wisdom. Chinese legend also says the moon holds the power to create pearls, hence their glow and mystery. Many cultures considered pearls the tears of the moon. In Hindu folklore, dewdrops fell from the moon into the sea, and Krishna picked one for his daughter on her wedding day; therefore, pearls became classic for brides. However, in Europe, they were considered unlucky for brides because of the “tears” connection! The oldest known pearl jewelry was found in the sarcophagus of a Persian princess who died in 520 B.C.E. Throughout the ages, pearls were favored by royalty and by the rich, as they were rare. At one point having pearls was considered comparable to owning land! Metaphysically, pearls connect you to goddess energy and the ebb and flow of life. Pearls are said to enhance truth, purity, personal integrity, loyalty, charity, and a sense of calm. Many feel that because pearls come from a living being, their magic is very strong. A relatively modern (discovered in 1834) gem from the chyrsoberyl family, Alexandrite was discovered in Russian emerald mines and was named for the future Russian Czar Alexander II. Described as “emerald by day, ruby by night,” Alexandrite changes color from bluish green in sunlight to purplish red in incandescent light. This is due to its chemical composition and makes it rare and costly. 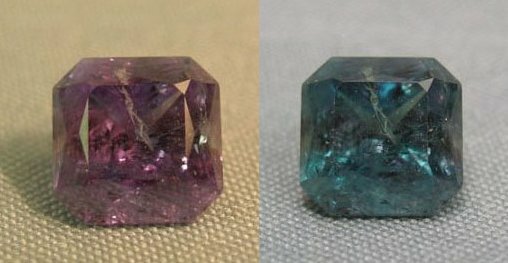 There are laboratory-produced Alexandrites now but even they are expensive. Alexandrite is believed to help with intuition, creativity, imagination, luck, happiness, success, balance, joy, and transformation of yourself and your world. Moonstone, a feldspar, was thought to be formed from frozen moonlight; hence the ancient Romans named it Moonstone. These beauties have a pearly shimmer called chatoyancy—perhaps that’s why it was added to the classic June birthstone of pearl—and comes in a multitude of colors: white, peach/yellow, pink, blue, gray, and rainbow. Moonstone was used in Roman jewelry for almost two millennia, and even longer in Asia. It’s a sacred stone in India and is a traditional love/wedding gift there. In Europe it was said to help cure insomnia and to reconcile lovers who had grown apart. Moonstone is about new beginnings and natural cycles—like the moon. It can strengthen intuition and insight. It helps you recognize the “up and downs” (cycles of life) and gracefully attune to and acknowledge them, bringing you to balance and harmony. It’s a protective amulet for traveling and a path inward for psychic journeying. It can be used during soul retrieval work and for prophecy. Moonstone has been called a stone of wishing. However, what you wish for might not be what you need, and Moonstone will help facilitate what is really needed. 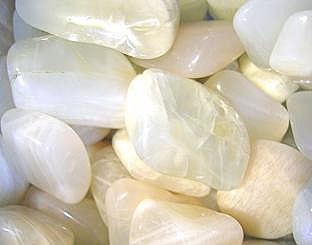 Moonstone can calm and gently encourage, helping us along in the natural wax-and-wane rhythms of our lives. 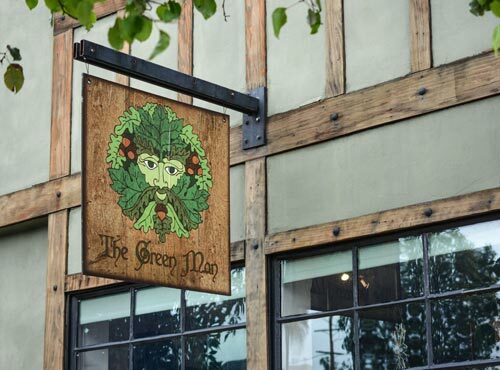 It’s a very feminine stone that honors the goddess but is also recommended for young men as well as women, dancers, artists, farmers, and gardeners.